The ASEAN summit took place on Thursday in Singapore as world leaders from the Asia-Pacific region and the West met to discuss enhanced trade and security as well as new approaches to regional economic development. 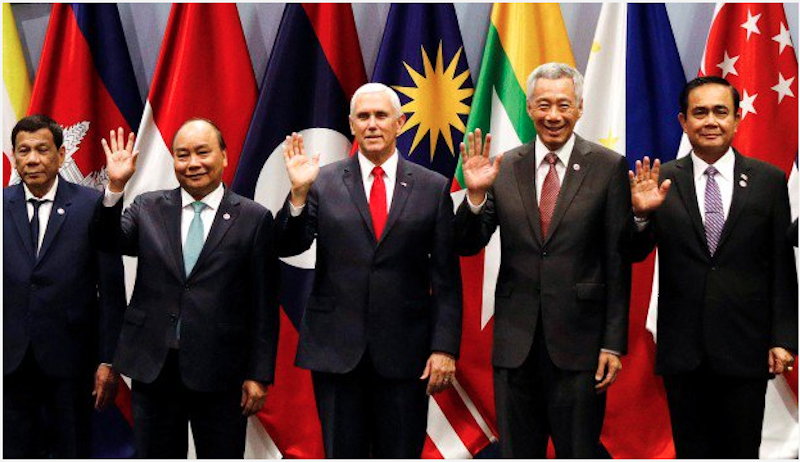 Vice President Mike Pence stood in for President Donald Trump, and stressed the "steadfast and enduring" American commitment to the Indo-Pacific while reminding the ASEAN leaders that there is no room for "empire or aggression" in the region. "Our vision for the Indo-Pacific excludes no nation. It only requires that every nation treat their neighbors with respect, they respect the sovereignty of our nations and the international rules of order," Pence said. Meanwhile, Chinese Premier Li Keqiang sought to reassure China's neighbors by advocating for the protection of the rules that govern global trade. China expressed concern about the U.S. rejection of multilateral trade regimes that has resulted in tariffs on billions of dollars' worth of Chinese products. In a meeting with ASEAN leaders, Li argued that the region needs to "take concrete action to uphold the rules-based free trade regime and to send a message — a positive message — to the market to provide stable, predictable and law-based conditions for the market." Russian President Vladimir Putin, who attended the ASEAN summit, collaborated with President Xi Jinping recently to call for openness and inclusivity on the heels of pledging to link their economic visions. While the Eurasian Economic Union puts Russia at the center of a single market for goods and services, China's new Belt and Road Initiative promises $1 trillion of new trade deals and stronger cultural ties with over 80 countries. With Xi's slated attendance at the APEC summit in Papua New Guinea this weekend, China is working to "expand practical cooperation with Pacific Island countries in trade and investment" and "lend impetus to their common development." This week, Washington lawmakers put forward legislation encouraging the Trump administration to pursue a strong response to the alleged mistreatment of China's Muslim minority in Xinjiang province, in the wake of mounting international pressure on the Chinese government over the issue. On Wednesday, U.S. officials introduced bills in the U.S. House and Senate that call for the secretary of state to consider invoking the Global Magnitsky Act to impose sanctions on Chinese officials as a response to "gross violations of universally recognized human rights, including the mass internment of over 1,000,000 Uyghurs and other predominantly Muslim ethnic minorities in China," the bill reads. Responding on Wednesday, Foreign Ministry spokesperson Hua Chunying argued that U.S. lawmakers should "pay more attention to affairs of their own country, and. . .make U.S. ethnic minorities feel the same as China's 56 ethnic groups in terms of freedom, sense of gain, safety and happiness." 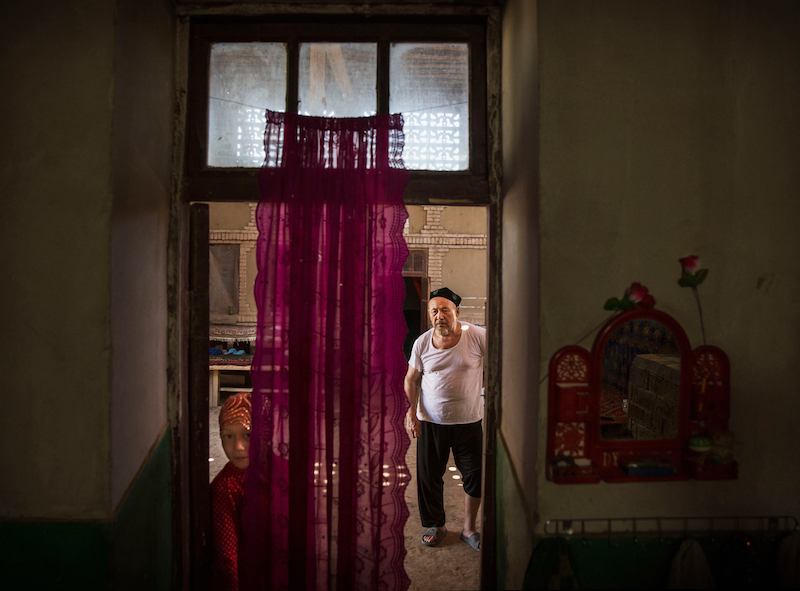 Writing for China-US Focus, Doug Bandow argued that while Western governments "recognize the challenge of dealing with Muslim extremists," Beijing's policies in Xinjiang "are seen as stepping back from the global leadership to which China appeared to aspire." Jared McKinney argued recently that the Xinjiang issue is an "unquestionably core interest" for the Chinese government, but has "the potential to enter the mainstream of American political discourse in a way that could destroy normal relations between the two countries." Read Jared McKinney and Doug Bandow's thoughts on the issue on our website. 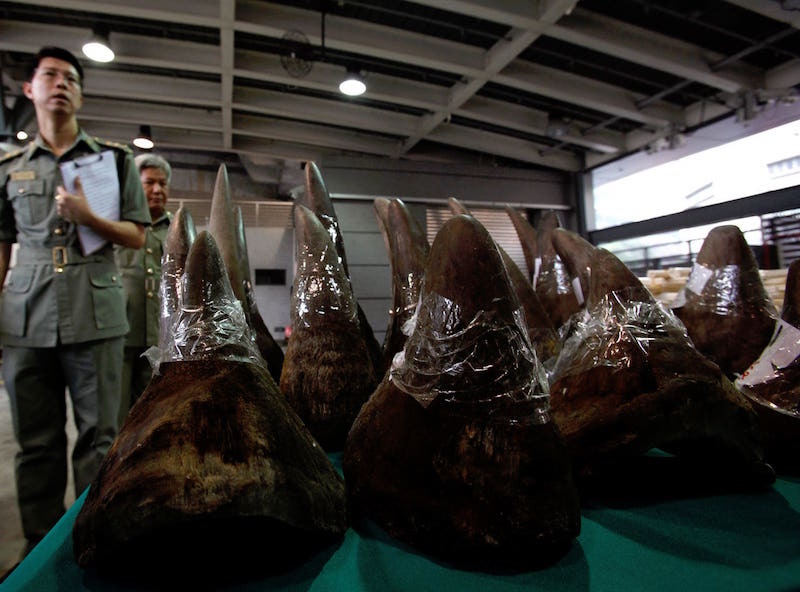 Last month, China's cabinet took action to reverse a 25-year ban on the trade of rhinoceros horns and tiger bones for medicinal use, leading to criticism from environmental groups across the world for undermining the country's efforts to act as a leader in environmental responsibility. On Monday, the Chinese government conceded to environmental groups and the United Nations and announced that it would temporarily postpone last month's order to reverse the ban. Some analysts have speculated that the trade war between China and the United States influenced China's original decision to reverse the ban. 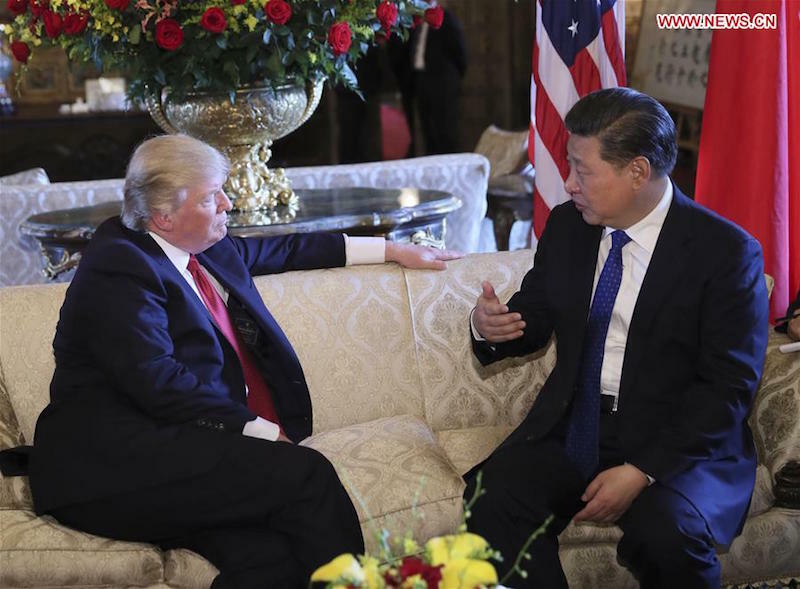 According to China policy expert Peter J. Li, President Donald Trump's withdrawal from the Paris Climate Accord has effectively meant that the United States has withdrawn as a leader in "global environmental governance." Additionally, the trade war has caused the relationship between the United States and Chinese governments to deteriorate. As a result, Li argues that China no longer feels obligated to heed Western pressure when it comes to environmental issues. Thus, it can act in what it feels to be the "country's wildlife business interests." It is unclear whether the ban was temporarily reinstated because of international criticism or an inability to reach a consensus on the regulations, but wildlife advocates are pushing to ensure that the ban becomes permanent and is even expanded to include all rhinoceros and tiger parts/products. "It Is Not Too Late to Prevent a Sino-American Cold War"
In a piece for China-US Focus this week, Professor Minxin Pei analyzes the unsettling consensus that is fast forming in the U.S. strategic community: that the United States and China are headed toward a long-term geopolitical conflict. Pei argues that while "the two countries may never return to constructive engagement, they can probably avoid a destructive cold war." Read his outlook on our website.